The 2016 Mountain Hawks will be leaning on their offense to carry them in the early going on the season. That’s because they return eight starters from last year’s squad, which was one of the more prolific offenses in all of FCS. Looking over the stat sheet from 2015, there’s plenty of athletes carrying over that makes Lehigh Nation drool. The return of a sophomore that was a 1,000 yard rusher as a freshman. The return of an experienced quarterback that has started games each of the last three years. The return of a deep threat receivers that invokes fear in opposing defensive coordinators. There’s not a lot of drama on the offensive side of the 2016 Lehigh football depth chart. But there’s a lot that has Lehigh Nation extremely excited about the potential for this year. There is one real adage when it comes to defensive football: if you sit around and wait for something bad to happen, it probably will. This season, the Lehigh Mountain Hawk defense knows it can’t afford to hang back and let bad things happen. The 2015 Lehigh defense was a unit that saw flashes of strong play – just not enough of them. And in 2016, this unit knows that the statistics from last year indicate a unit that needs to get better. Most of all the identity of this defense needs to be formed. In most places, we know the athletes. We know they have flashes of great play. The question that needs to be answered: what will its identity be? We continue the series “Know Your 2016 Opponents” a mere 9 (!) days away from the opening of the 2016 football season. This might be a good time, for your reading pleasure, to remind you that these are modified with some more awesome Lehigh information from the originals over at The College Sports Journal. 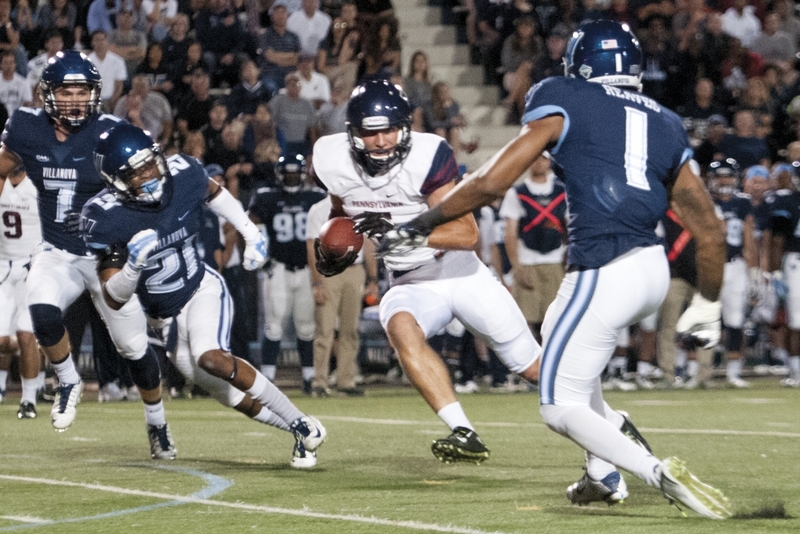 To come: Colgate, Villanova, and, of course Monmouth, the season opener on September 3rd. And also, this preview of Penn. Below the flip. Let’s take a look at all the training camps around the Patriot League and see what’s up. Last week, I talked about the first week of Lehigh’s training camp and you can read about that here. It’s hot, it’s muggy and it’s sticky, but all that’s doing for Patriot League football fans is getting them in the mood for football season. The Mountain Hawks, who are finishing up their second week of practice and their first scrimmage with full contact. The news wasn’t all good, however, as it was revealed via Twitter that senior LB Colton Caslow was battling an injury. We continue the series “Know Your 2016 Opponents” a mere 16 days away from the opening of the 2016 football season. To come: Penn, Colgate, Villanova, and, of course Monmouth, the season opener on September 3rd. 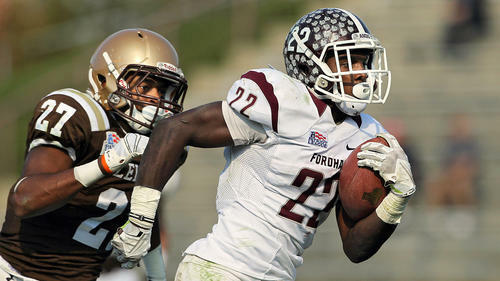 And also, this preview of Fordham. Below the flip. It’s almost here – the 2016 football season. On August 8th, the Lehigh football team finished their offseason testing and officially started in with the incoming freshman class. Head coach Andy Coen was very impressed with the 20 new faces of the incoming class. So what will Lehigh Nation be looking at during the 2015 preseason? The Patriot League officially kicked off the 2016 football season with football media day at the Green Pond Country Club, and Lehigh was picked in a tie for 3rd. Colgate was picked 1, Fordham was picked 2, and tied with the Mountain Hawks was Holy Cross at 3. Senior OL Zach Duffy and senior LB Laquan Lambert, were asked what they thought of the preseason pick. In other years, you might have gotten a bit of a chest-thumping response, but this year’s group was notable in the calm way they answered the questions.